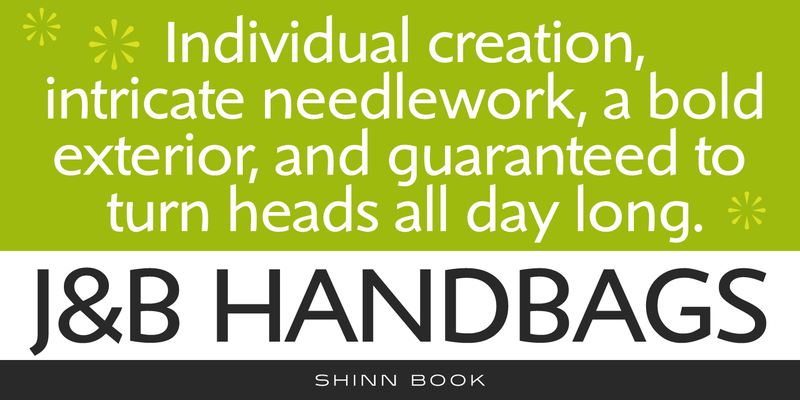 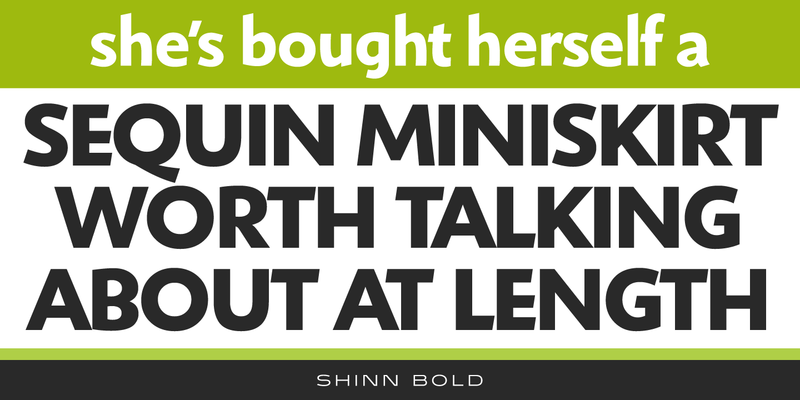 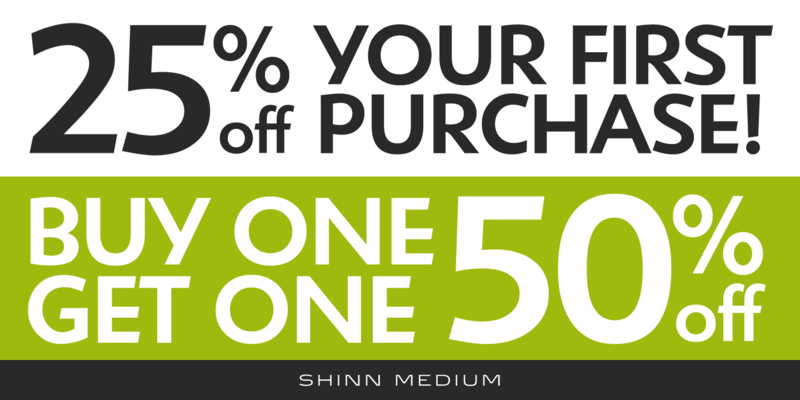 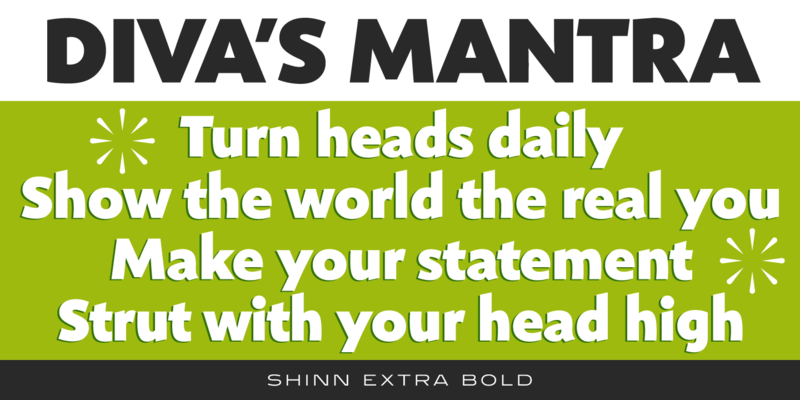 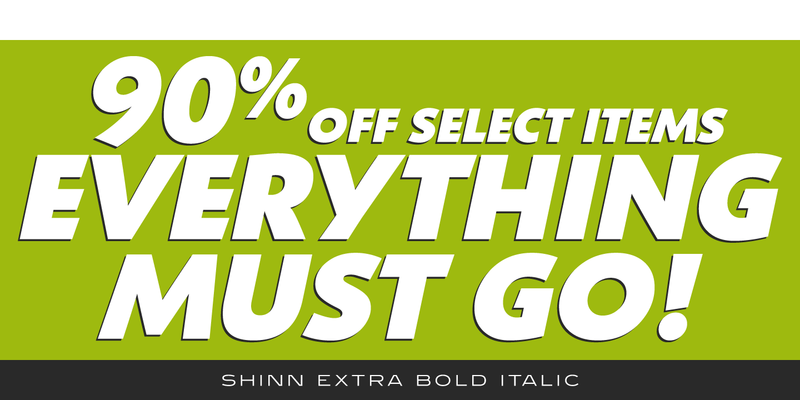 Shinn is a humanist sans serif font family with a calligraphic cut and tall ascenders. 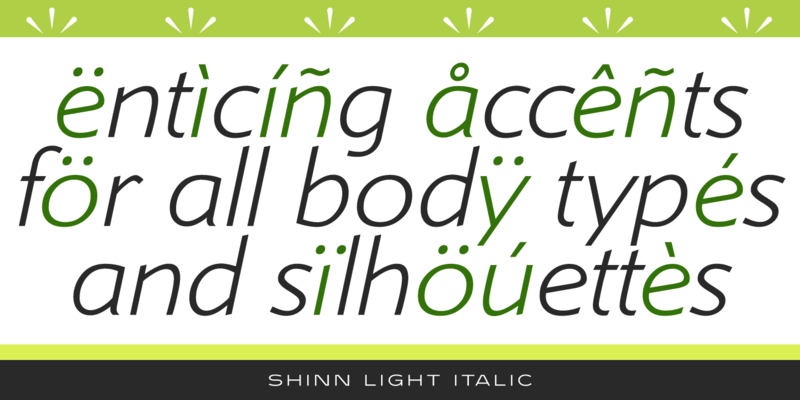 The Light, Medium, and Extra Bold weights were designed by Nick Shinn for Typsettra in 1985. 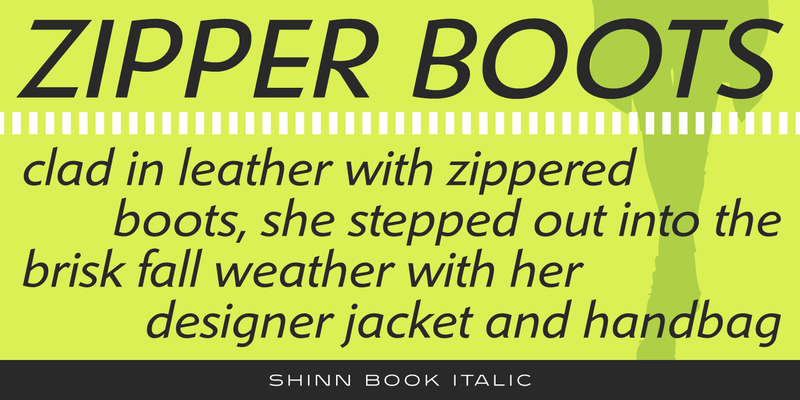 Steve Jackaman (ITF) redrew and digitized the family in 1992, and added Book, Bold, and italic weights. 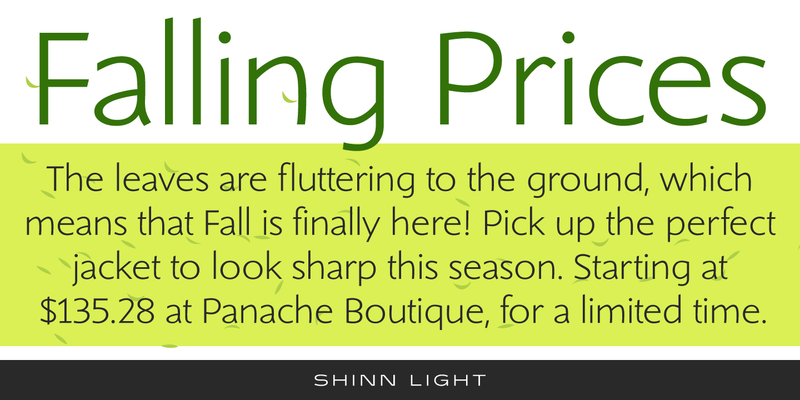 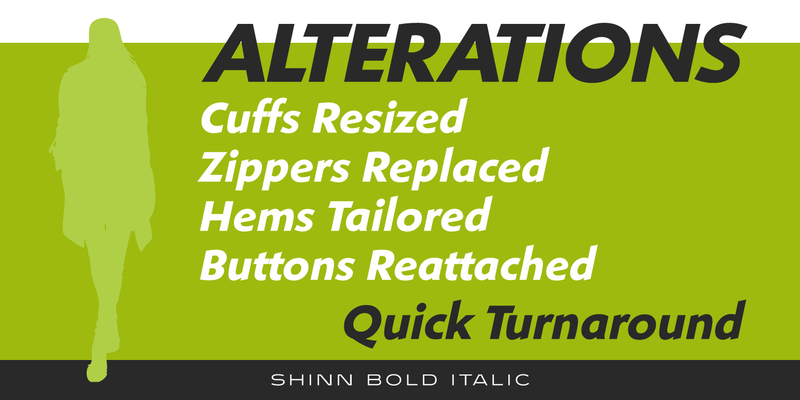 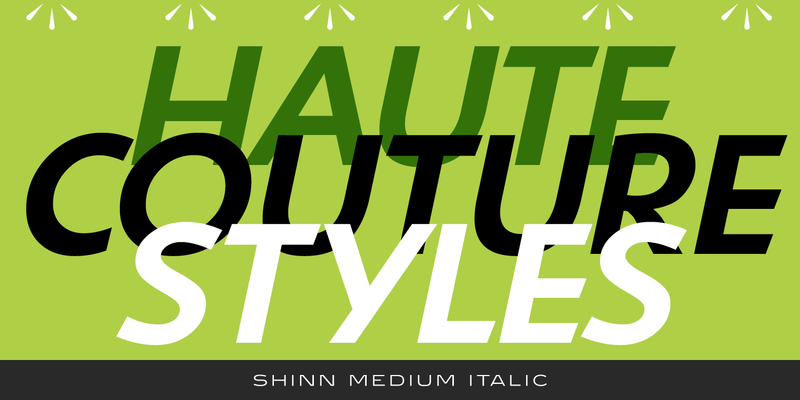 Shinn has a casual modern feel, emphasized by its angled stems and high legibility. 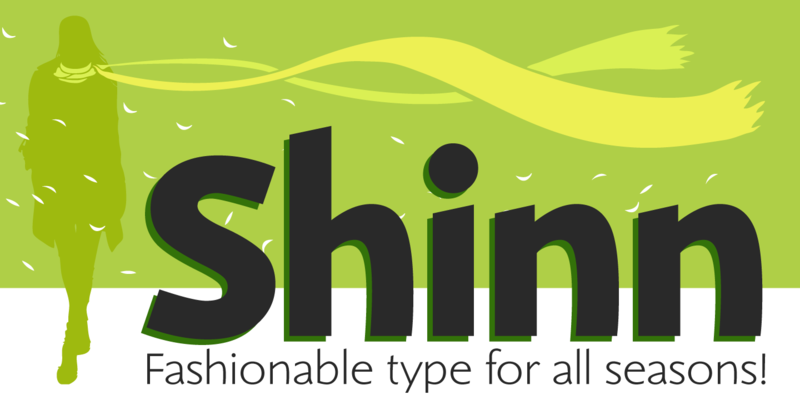 Shinn is a trademark of International TypeFounders, Inc.